Burning themselves out. Many of them don’t know it, or they know it and don’t care, or they care but do not know what to do about it. Using stimulants. Their energy is false. One of these days it will catch up with them and they will become ill. Stimulants are not just items such as sugar, caffeine or amphetamines. They include factors such as too much worry, fears, anger and other emotional factors that definitely stimulate the body. Victims of illness. Many who do not sleep much are either very toxic with copper and other metals, or have various other physical imbalances such as biounavailable or deficient levels of calcium that prevent them from resting adequately. They have gotten used to this, and can function quite well. However, it is not normal and it is certainly not healthful in the least. They are not really rested when they wake up in the morning. In fact, they are just driven, often by toxins in the body or other imbalances. They are energy vampires. This is unfortunately common as well. Many people consciously or unconsciously have learned to steal energy from others by upsetting them in some way. They may talk too loudly, act intimidating or confusing, or they use some other method to draw energy fro other to themselves. Some energy vampires recognize the trait, even if they don’t know what to do about it. Many others do not even realize what they are doing. Unfortunately, for example, many parents do this to their children, stealing the innocence of the child. This is sadly a reason why many young people unconsciously want to have a child or several children. If you are feel exhausted around someone, it is important to protect yourself by removing yourself or reducing interaction with such people. Having your energy drained leads to serious illnesses like cancer. This is a challenge for many people. Here are guidelines for the best sleeping experience. The hours before midnight are far more valuable for rejuvenation than those after midnight. Some say they are two or three times more useful for healing the body and mind. The hours after midnight are less conducive because the energy of the earth has shifted and the new day is starting. This brings a crescendo of solar energy that can tend to cause lighter sleep in many people. When To Go To Sleep. Thus, going to bed early is the first rule of ideal sleep. I recommend going to bed between eight and nine PM every night. While this may seem early, it is the way primitive mankind slept before there was electricity, and it is one of the reasons that primitive peoples often enjoyed and continue to enjoy superb health. It is also the reason these people are more intuitive and aware, as adequate rest and sleep are essential for these subtle mental faculties. 1. Many people have a ‘sleep deficit’. 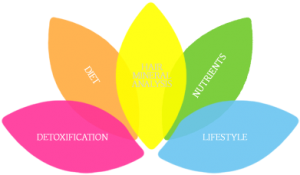 That is, they will require much more rest at first, often for several years or more, when they begin to renew their bodies using nutritional balancing, meditation, saunas and other methods recommended at this website. Thus, many people, especially those who are ill, may require 12 hours daily for two or three years. Most of that can come from resting at night, while napping is also excellent to make up for a sleep deficit. 2. This means 8 to 9 hours of actual sleep, not lying in bed falling asleep or lounging in the morning as you wake up. In order to obtain a full 8 or 9 hours of sleep, most people need to set aside another half hour to an hour in bed for this reason. 3. For best health, do not make exceptions to this rule for holidays, weekend parties or anything else. If one must party late at night, then at least sleep in the next day, although going to bed early each night is a key to having excellent energy. Children and Teens. Children and especially adolescents need 11 hours or more of rest, though a little of that could be rest time in bed but not strictly all sleep. Again, there should be no exceptions for sleepovers, camping trips, late movies or other distractions. I realize this is difficult, so do your best as a parent to guide children with this. If a child is up late one night, be sure he or she can sleep in and that the next night the child goes to bed very early. College-Age Students. College students are often the most sleep-deprived, due to many activities, parties, outings, late classes or other distractions at this age. Young people also have more natural or hormonal activity in most instances, so they “get away with it”, as they say. This is a lie. They just develop problems and illnesses as a result. Sleeping Positions. The best position for sleeping is on your back without a pillow. If you prefer a pillow, it should be soft enough so that your spine remains fairly straight. Also, the pillow should not cut off your air supply in any way. Also, the pillow case needs to be cleaned often, as otherwise you will be breathing lots of dust, bacteria from your scalp and other debris all night. If possible, sleep with your legs and arms straight and slightly out to the sides. This prevents you from crossing your own energy field with your arms or legs. Head toward the pole. Another suggestion, if possible, is that if you live in the northern hemisphere, sleep with your head to the north, more or less, and legs facing to the south or west if possible. If you live in the southern hemisphere, it is reversed with your head facing south. If you live very near the equator, this is less important. This has to do with very subtle energies that some people can feel. There is a flow of magnetic energy from the poles to the equator of the earth. When you align with it, it helps release negative energies that everyone picks up during the day from other people, from computers, televisions and other stray electromagnetic fields. It does even more than this, however. Mattresses. Avoid sleeping on very soft mattresses that distort your posture. Air beds are about the best. They include the Sleep Number bed or a less costly competitor, the ComfortAire mattress. Memory foam mattresses are good, too, if the smell is not too bad. Other mattresses may be fine if they are in good shape and not too soft or too hard. I do not recommend water beds, although some people like them. I don’t think it is ideal to be sleeping on water. Watch out for toxic mattresses like Tempur-pedic and the copies. These can outgas for months. They bother some people much more than others. Sheets. Silk or plain cotton sheets may be a little better than synthetic sheets. Use a Dacron pillow if you are allergic to feathers and foam rubber. Keep pillows clean, as they can accumulate dust mites, germs and more. Place in the washing machine or replace when dirty. 1) I don’t have time. If this is really the case, then it is time to restructure your life. Schedule naps, nap with your children after lunch or even after all meals, get help so that you are freed up, take on fewer projects or otherwise restructure. It may mean you become a more relaxed person and your house is not as clean. Perhaps you will not bake as many cakes or volunteer at church. This needs to be acceptable and understood by family members. In our Western culture, to simply put your feet up or lie down and rest in the afternoon is difficult for many people. This is particularly true if you identify yourself with what you do, instead of with whom you are. Resting more, you may feel guilty, lazy or unproductive. In fact, whom you are is much more important than what you do. Although perhaps it is not obvious, you affect others much more by whom you are than by what you do. For example, if you work for peace but are full of anxiety and tension inside, you will radiate the vibration of stress and anxiety, the opposite of peace. If you are good to others, but not good to yourself by resting enough, you radiate the non-respectful vibration, although this can be very subtle. In fact, many people remain busy and active because they are afraid or uncomfortable resting and relaxing. One may busy oneself with the problems of others, because in a resting state, one is faced with one’s own life, and one’s own concerns. A key to learning to rest more is to be at peace and fully accepting and loving of yourself. Otherwise, resting more may bring up vague feelings of anxiety or even panicky feelings. 2) Sleep is a waste of time. I hope I have explained why this is not so. Plenty of sleep is an absolute necessity. 3) I could sleep for days and sleeping more doesn’t make me feel better, so why bother. Most likely your body chemistry is out of balance . Correction might be simple, but usually requires a nutritional balancing program. Ninety percent of city dwellers have exhausted adrenal glands and often sluggish thyroid glands, which makes one very tired. The answer is not to just take hormones or sleeping pills, but to begin correcting body chemistry. However, not sleeping will only make the problem worse. If a sleeping pill is needed for a while, it is okay. 4) I’ll miss my favorite television programs, movies, parties, etc. It is possible to leave parties earlier, schedule parties and movies earlier and record late television programs. 5) I can’t go to sleep earlier. If I do, I’ll be up at 3 AM. This is a common excuse. The section below regarding sleep difficulties may be helpful. Many people are stimulated by toxic substances in the body that prevent them from relaxing thoroughly. Blood sugar imbalances may also prevent one from sleeping through the night, for example. 6) I have loads of energy. Occasionally, this is the case. A few people are healthy enough to get along on less sleep. Most often, however, one is out of touch, stimulated by toxic metals in the body or using stimulants that irritate the nervous system. It only appears one has loads of energy. If this is the case, you will eventually become exhausted. You might as well slow down now, before complete burnout occurs. 7) I just love staying up. Many people are night owls. They enjoy the peaceful feeling at night when activities slow down. It is a pleasure for many sensitive souls. Sometimes creative work is easier to do at night. However, depriving yourself of sleep is not the answer. You may need to live in a quieter environment so you can experience peace during the day. Otherwise, arrange your schedule so that if you stay up, you can sleep in the morning or nap so you get enough sleep. Ideally, go to bed very early and get up early when the world is still peaceful and quiet to experience the peace you need.